Growing up in the Naugatuck River Valley, 12-year-old Bob Kukiel was given an oil painting kit by his brother. Kukiel wasn’t too involved in the arts in his youth, he said, and only made three paintings with the kit. Seven years later, in 1967, Kukiel found himself fighting in the mountains and jungles of South Vietnam. 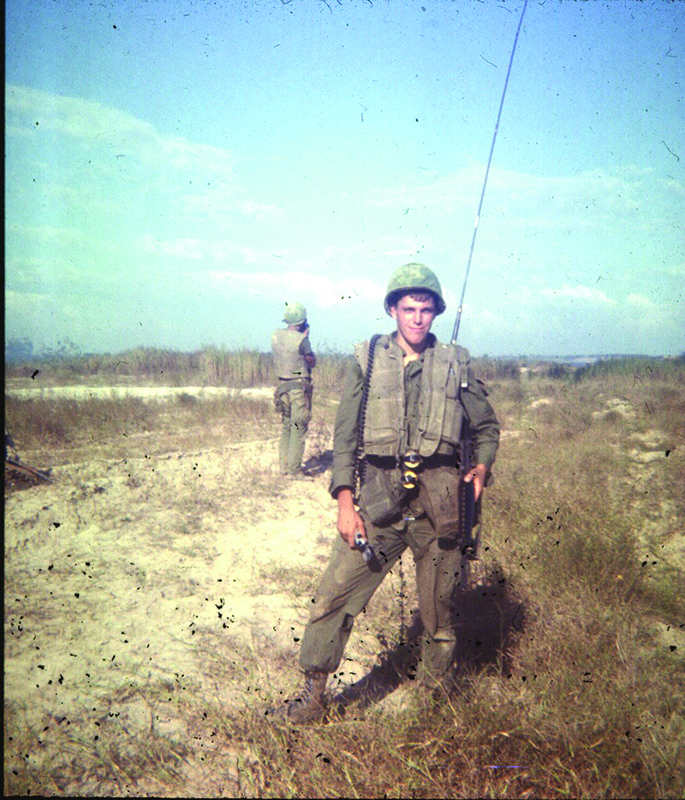 Kukiel had enlisted in the Marine Corps in 1966, and was deployed to the Vietnam War from 1967 to 1968, where he served as an infantryman. Far removed from the stifling humidity and incoming mortar rounds of combat, one can find Kukiel on the second floor of Earl Hall, painting still life scenes with students one-third his age. This isn’t his first college experience, either. He went to college following the Marine Corps, eventually getting a master’s degree in French literature from UCONN in 1981. Kukiel started first painting classes were at the West Haven Veteran’s Center two years ago. He asked his teacher for suggestions on how to paint better. “My teacher thought I should learn to draw,” Kukiel said. So Kukiel signed up for a drawing course at Southern last fall. He wanted to continue with the art classes here to “hone his skills”, which led him to take the painting course. “They thought I was crazy,” Kukiel said, of when he told his peers at the vet center his plans to draw and paint at Southern. Taking college classes at his age, Kukiel said he approaches the work with a more mature outlook. He also said there’s less pressure since he’s not working for a grade. Of Kukiel’s three paintings at age 12, he still has one. It was rediscovered five years ago while he was cleaning his basement. Kukiel’s daughter laughed when he showed it to her.